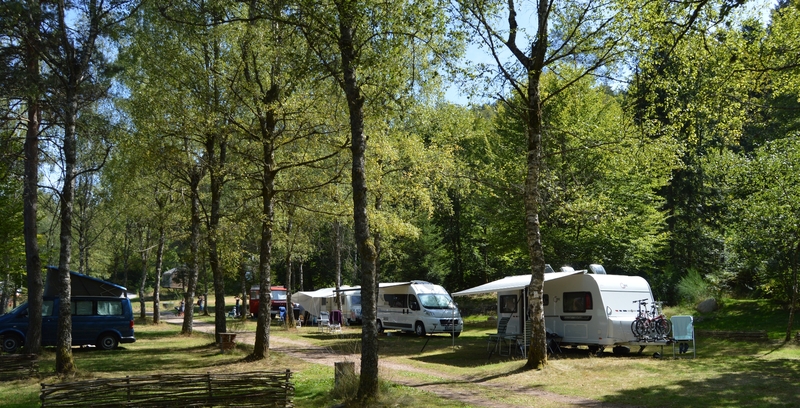 Whether you prefer a pitch under the shade of an oak tree, under a pine or in the sun, in terrace or “a flat pitch”, in underwood, in nature area, our campsite will meet your expectations thanks to its 69 spacious pitches having each one their particularities. With an area of at least 100 m², our pitches will enable you to spend a pleasant holiday. The calm, the quiet and the starry vault will stay in your memory. A car park at the entrance of the campsite is reserved for cars.